Chicago judge to be No. 2 at Justice Dept. 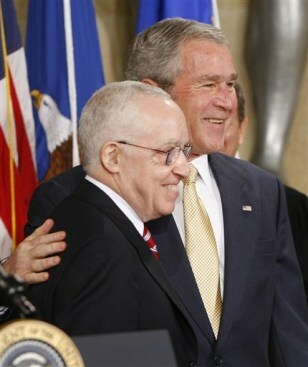 President Bush, right, poses with new Attorney General Michael Mukasey at the conclusion of a ceremonial swearing-in for Mukasey, Wednesday, Nov. 14, 2007.